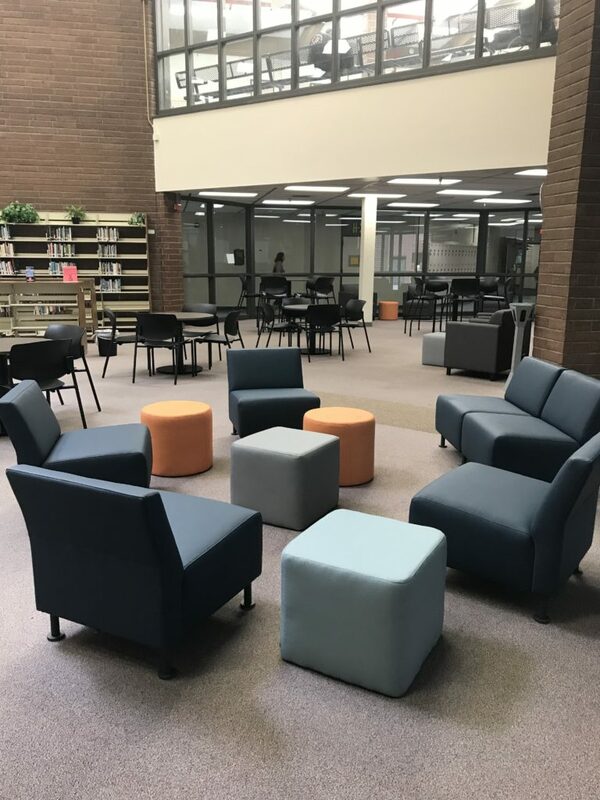 Phase I of the library renovation project is complete. 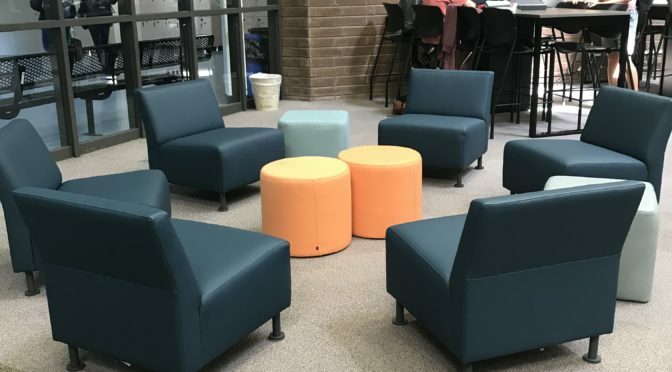 This project idea was brought to us by a student who wanted to create a more welcoming and comfortable environment for students to study. 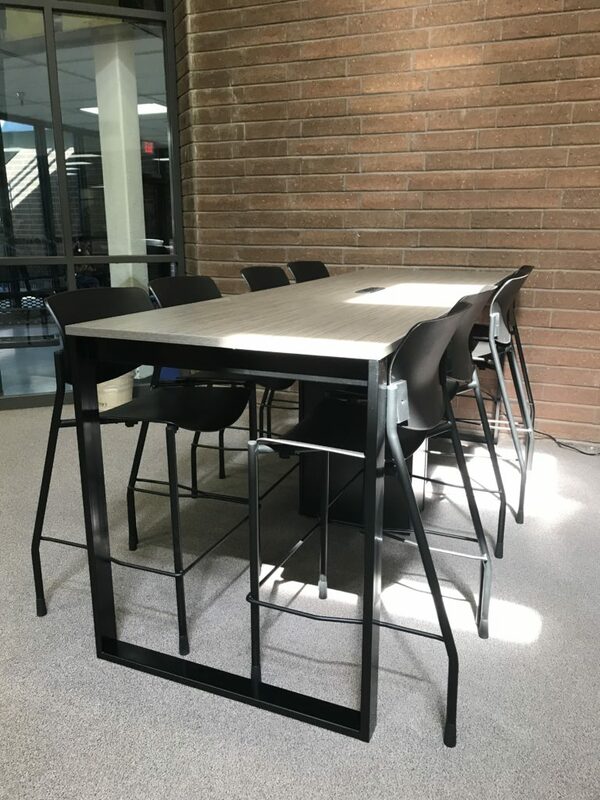 Phase 1 included new high and low tables, more comfortable chairs, soft seating areas for groups and individual studies and recharging stations. The second phase will include purchasing additional furniture, artwork, power cords and chargers and carpet repairs. Unfortunately, we received many more requests that we could not fulfill. If you would like to make a donation to the Foundation to help us provide grants like these, please visit our website. Donations can be made online through PayPal or you can mail a check to the school. Thank you to the Capo families whose contributions to the Foundation this year made these purchases possible. 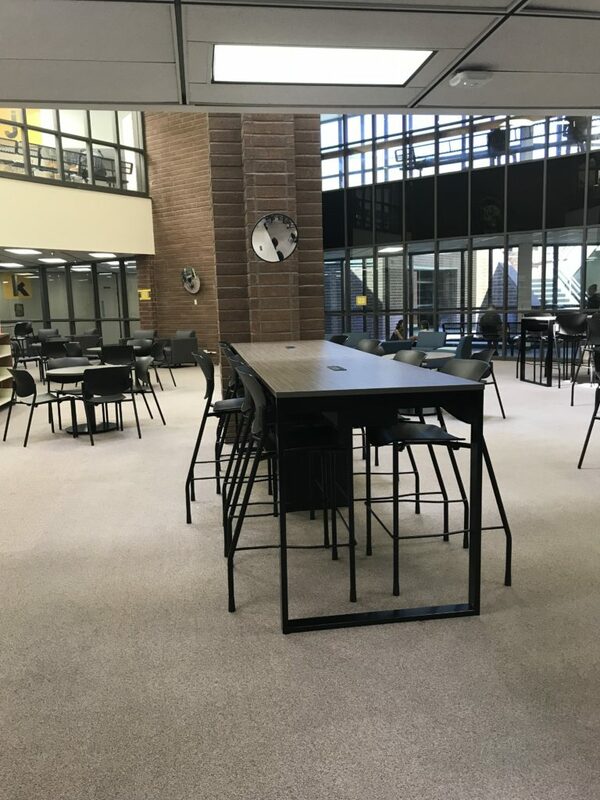 Please Support the CVHS Library Remodel Project! The CVHS Foundation has committed its support for the COUGAR CENTER – a library renovation project that began in Spring 2017. Applications for the 2017-2018 Student Representative position on the CVHS Foundation are now being accepted. You must be entering into your junior year in order to apply. Full details are available HERE. 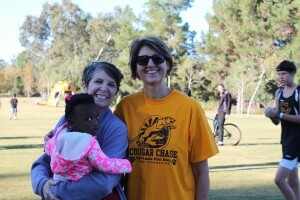 First Annual CVHS Cougar Chase A Big Hit! 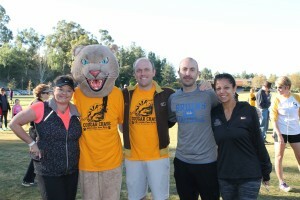 The first annual CVHS Cougar Chase took place on November 7th and drew 200 participants. 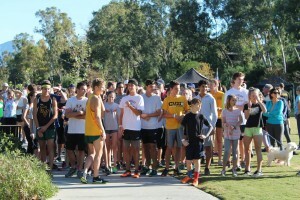 The purpose of the Fun Run was to offer a fun, family oriented event to help raise money for CVHS clubs, booster organizations, and the CVHS Foundation. 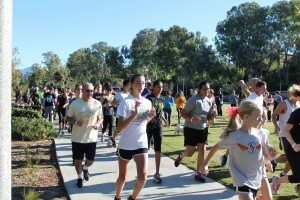 The 5k course ran through the park at the Norman P. Murray Center. 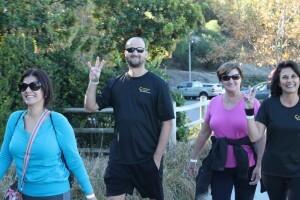 Students, teachers, CUSD administrators, and Mission Viejo city councilors all were on hand to support the event. 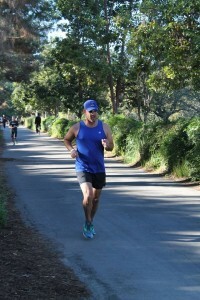 The runners left first followed by the people who wished to walk the course. After the main race there was a 1 mile kid’s run that took place. Prizes were awarded to the winners and all participants received a sports bag with the race logo. After the race participants were treated to Chick-fil-A, bagels, fruit, and energy bars. Thanks to everyone who participated, and to all the volunteers who helped make this even enjoyable for everyone! We want to give a big THANK YOU to our sponsors and supporters – Chick-fil-A Laguna Niguel, KIND Bars, MR Biehl Photography, Bagels and Brew Mission Viejo, Santa Margarita Water District, Coldstone Creamery Mission Viejo, Trade Joes Mission Viejo, and Costco. Congratulations to the 2015 Winners of the Senior Scholarship Award! We are thrilled to announce the CVHS Foundation senior scholarships. This is the first year of the Foundation has offered senior scholarships and we received many impressive nominations. Winners were selected by Trish Kelley, former Mayor of Mission Viejo, Carol Bennett, former CVHS PTSA President and Perry Hamilton, Youth Minister from Mission Hills Church in Mission Viejo. Congratulations Sarah George. Sarah established a club at CVHS called The Mission Continues. With club members she went to Camp Pendleton Base just before the Marines returned from active duty to clean rooms, leave care packages, including food, drinks, and soap, and even welcome home signs were in the room. The Mission Continues remains active on campus and on the base. Congratulations Lindsay Morris. Lindsay’s activities at Capo included four years of volleyball, CSF, drama, Cougars for Character, American Heart Association and two years as an ASB officer. Lindsay helped increase student pride for her school. Capo has been a family she loved serving. Congratulations to Sarah and Lindsay for making a difference at Capo. Congratulations to the 2015 Outstanding Service & Leadership Award Winners! This is the second year of the awards and the Foundation received many impressive nominations. 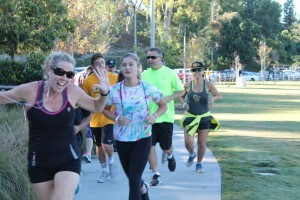 Winners were selected by a committee comprising Trish Kelley, former Mayor of Mission Viejo, Carol Bennett, former CVHS PTSA President, and Perry Hamilton, Youth Minister from Mission Hills Church in Mission Viejo. Leila has been active in Mission Viejo Library Summer Reading Program. 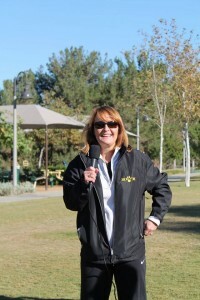 She is a blogger for the Mission Viejo Teen Voice blog and has contributed 21 posts. She volunteered as a counselor- in-training with Outta Bounds, an after school program and was invited to join the Outta Bounds Student Advisory Council to help set up activities and field trips for this summer. Emily is a member of the National Charity League and is a very active Girl Scout. She is self-motivated, responsible and diligent and is always polite and responsive to her supervisors, peers, and charity clients. She is truly motivated to make a difference in the world. 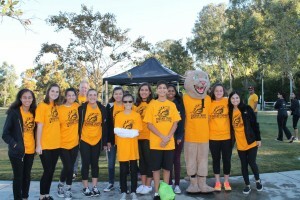 Wanting to share her love of basketball with special needs children Erica Stoll set up a Mission Viejo chapter of Buddy Basketball, a program providing one on one basketball coaching to special needs kids. Children like Brad Arndt a 9 year old boy with special needs in thriving in the program that Erica has started. 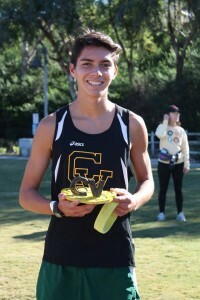 Blake Berk is president of the National Honors Society at Capo. He is in charge of all members and all club activities. He is a leader who constantly demonstrates the four pillars of NHS – character, leadership, service and scholarship. He’s also captain of the school’s lacrosse team – and has been for three years. Michelle volunteers at the Pretend City Children’s Museum in Irvine and at the Garden Grove Regional Library Summer Reading Program. She is president and founder of the Music to Heal Club, a school club that plays music at senior centers. Zackary has logged over 120 hours of service with Lion’s Heart – a national non-profit community service organization for teen volunteers. He’s volunteered at local food banks, a Special Olympics basketball tournament, Relay For Life and Grandparents Autism Network. Zackary also organized two local clean up events in Mission Viejo – at Pacific Hills Park and at Castille Elementary. Matthew volunteered with the Orange County Registrar’s Office as student clerk during the November Election. He’s involved in Model United Nations and helped organize Capo’s MUN Conference. And, he serves as Treasurer of the Make-a-Wish school club. Caroline is a young woman who truly believes in paying it forward. 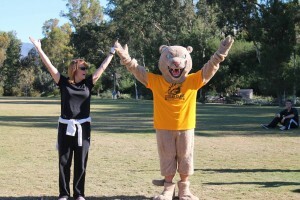 While at Capo she has volunteered well over 1,000 hours. The list of organizations she’s been involved in is impressive. One of her major projects is “Making Room for Success” which is her initiative to improve homeless education. She’s working to create a tutoring center at Someone Cares Soup Kitchen in Costa Mesa and plans to extend the program throughout Southern California. The CVHS Foundation congratulates all our winners! 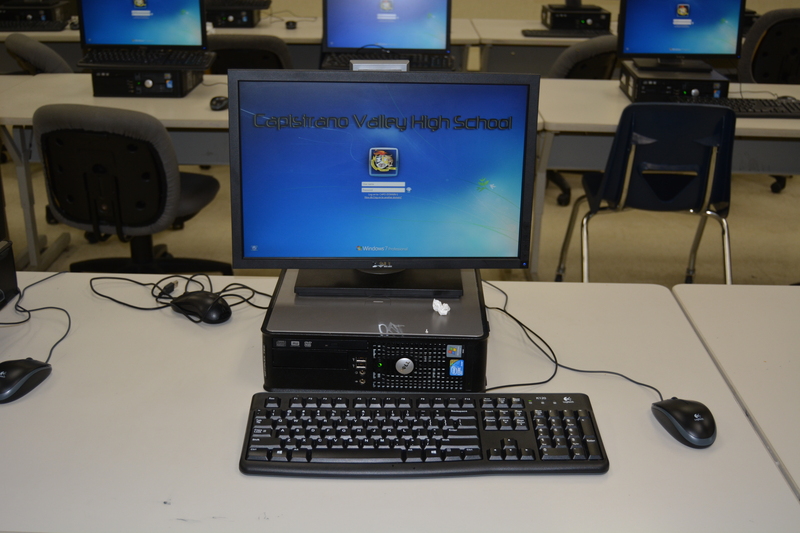 The CVHS Foundation has contributed $30K to fund new computers for the school’s computer labs. 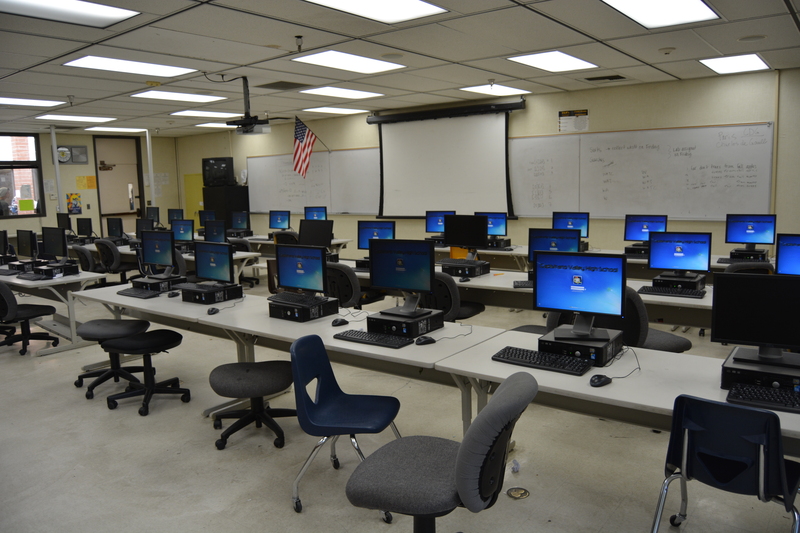 Half of the new computers were installed over spring break 2015 and the balance will be installed during the summer. The Foundation’s grant allows the school to replace outdated equipment and provides students with up to date tools needed to participate more effectively in computer related classroom curriculum. 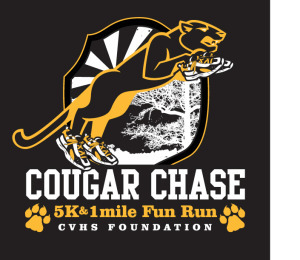 Please join us for the 1st Annual Capistrano Valley High School Foundation Cougar Chase; a 5K Fun Run starting on the Village Green and following the beautiful Oso Creek Trail. 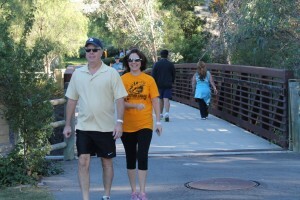 Participants are welcome to run or walk the course. No official times will be recorded. 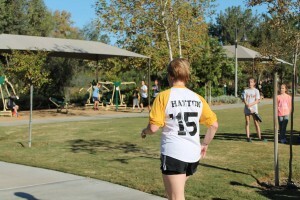 There will also be a 1 Mile Fun Run on the Village Green for kids following the 5K. 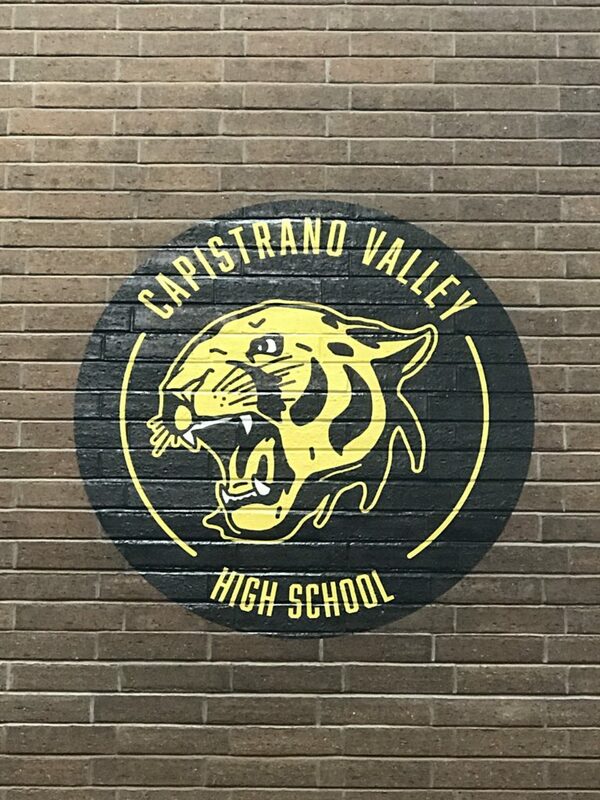 Start the Holiday season with an investment in family health and fitness and an investment in Capistrano Valley High School! All proceeds benefit CVHS. For Race Details CLICK HERE. 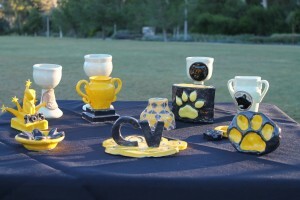 This is the first year these awards have been given out by the CVHS Foundation. The awards are for students, one from each grade, who have demonstrated either outstanding leadership or outstanding service – a total of 8 awards. Daniel was nominated for his outstanding leadership in Boys Scouts and at his church. Daniel is President of his scout troop and was selected to join an elite order of the Scouts called the Tribe of Tahquitz. In his church Daniel has held a number of leadership positions. He considers himself a leader not a follower. Andrew is a co-captain of the Sophomore Boys’ Basketball Team here at Capo. This school year he started a Christian club on campus called “Truth Be Told.” In additional to his leadership roles, Andrew is a selfless volunteer. He was involved in a 100 hour service project for Hope Worldwide. He has also volunteered on mission trips to Guatemala and Honduras. 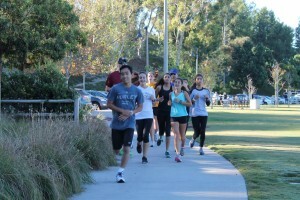 Sarina started the “One World Green Club” at Capo. This year through a fundraiser and donations the Club purchased over 1,100 acres of rainforest in Peru in honor of Capistrano Valley High School. 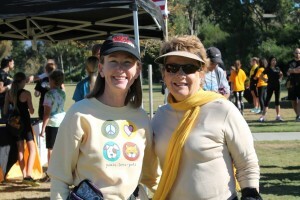 Sarina is also a volunteer with Safe Rides run through Mission Hospital and works at a local food bank in Mission Viejo. Alexandra received two nominations. She was nominated by the coach of the girls Varisty Lacrosse Team. 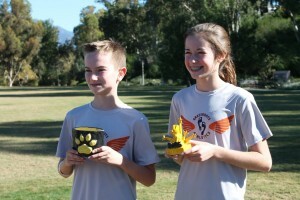 Alli is team captain and led her team to a perfect 12 – 0 winning streak this season. In 2012 Alli’s 9 year old brother Parker died unexpectedly. Alli helped established the Parker James Ramirez Memorial Foundation. As a director of the Foundation Alli helped organize a golf tournament and luncheon in Parker’s honor that raised $30,000. 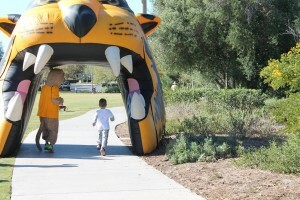 The Foundation gives back to the community that Parker was a part of – installing sunshades at the Mission Viejo Youth Athletic Fields, and providing supplies and aid to students at Castille Elementary School where Parker attended. Jacob has been volunteering in the community since he was in 4th grade. He is active in the Challenger Baseball League where helps disabled kids play baseball. His most meaningful role is as “grandfriend” to residents of Heritage Pointe in Mission Viejo where he spends time every week with seniors – playing piano, listening to their stories and helping coordinate a Broadway musical program. Alisha received two separate nominations. At Capo she is a member of the ASB Sophomore Class Council. Alisa is also a teen volunteer at Mission Viejo Library where she has been part of the Summer Reading Program for 2 years, and also is involved in Mission Viejo Reader’s Festival and Writers Present Program. Stephanie’s passion is working with children with disabilities. While volunteering as camp counselor with Special Camp for Special Kids she discovered the camp was funded largely through donations. 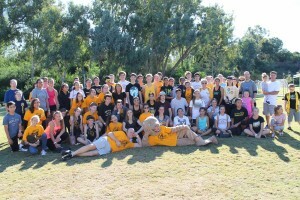 Wanting to help even more, she founded a club here at Capo – Special Club for Special Kids – raising money for student scholarships at the camp. Stephanie is also a volunteer with “Lion’s Heart: Teens Giving Back” and Operation Christmas Child. She plans to travel to Guatemala and Mexico this summer on a mission trip. 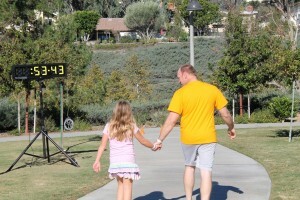 Madison is a 7 year volunteer with Assist Teens of Saddleback Valley. During that time she has worked with many local organizations – too many too mention – including Adopt A Family, Senior Outreach, Operation Baby Love, and Komen Walk for the Cure and Foster Home Outreach. Congratulations to Madison. On behalf of the CVHS Foundation I would like to congratulate all of the winners. I encourage the community to consider nominating a Capo student for the awards next year.